It was surely inevitable, but the Kansas City Chiefs have officially made rookie Patrick Mahomes their No. 2 quarterback. With a trade up to get him in the first round of April’s draft, the Kansas City Chiefs made a commitment to Patrick Mahomes as their quarterback of the future. Current starter Alex Smith is clearly on notice now, but the Chiefs have made Mahomes earn his spot on the depth chart. Tyler Bray started the preseason as Kansas City’s backup quarterback, but according to Adam Teicher of ESPN.com Mahomes has now been promoted to No. 2 on the depth chart. Bray threw an interception on his first series of Friday night’s preseason game against the 49ers, but head coach Andy Reid was quick to dismiss that as a reason for the depth chart swap behind Smith. “It’s not because of Tyler’s performance in the game,” “I thought he actually did very well … and Patrick did a nice job too. It gives [Mahomes] an opportunity to step up and work with that second group and see what he can do there. Patrick Mahomes is getting the second string reps today at QB instead of Tyler Bray. Mahomes went 7-for-9 for 49 yards and a touchdown against the 49ers, and a 41-yard completion on his first pass was called back by a holding penalty. He has earned the promotion over Bray, even if it was a mere formality to occur at some point. The guaranteed money in Smith’s contract is done after this year, so the Chiefs can easily cut ties heading into 2018. 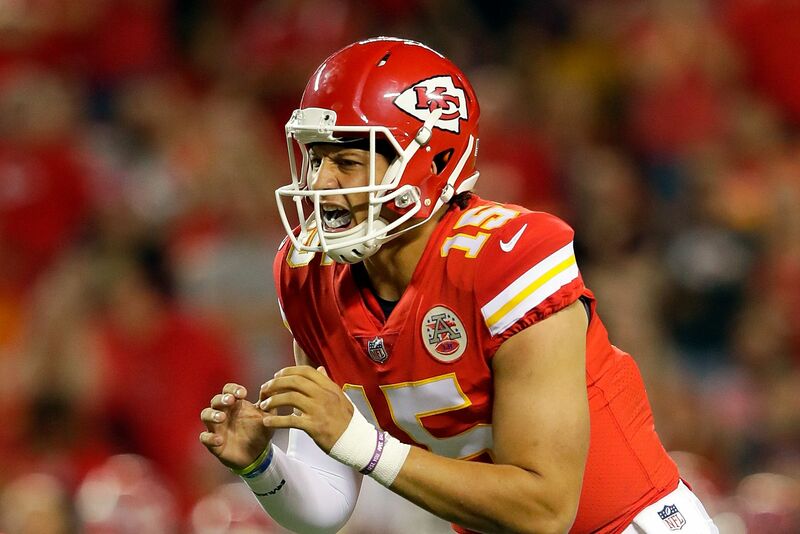 Mahomes offers more upside, and it’s become clear Kansas City can not move to the next level as a championship contender with the adequate but not outstanding Smith playing quarterback. Mahomes won’t start any games as a rookie as long as Smith is healthy, but no less than an outright competition for the starting job is on the horizon for next year.